Sony is shaking up its management structure for its PlayStation business, a move that signals increased emphasis on the company's PlayStation Network. Starting April 1, Jim Ryan will become president and chief executive of Sony Interactive Entertainment, while the man currently holding that position, John Kodera, will become deputy president. While the move will see Ryan and Kodera effectively switching job titles, the The announcement of executive shuffle Monday, with CEO and president Kenichiro Yoshida, said in a news release that the move will "ensure sustainable evolution of the PlayStation platform and further growth of the network area. " 1; will enable SIE to accelera te its innovation and evolution even further. " Yoshida signaled his intent to capitalize on the PlayStation Network's audience to promote Sony's entertainment businesses – namely, movies and music – earlier this year in an interview with the New York Times. 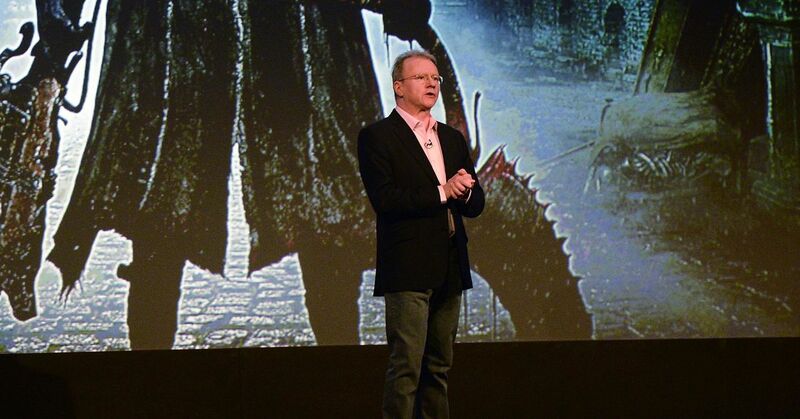 In that interview, Yoshida called PSN "a very strong entertainment platform for all of Sony – very suitable for video and music content," indicating that it was being underutilized. Kodera echoed that sentiment in an official statement, saying, "I have been discussing with Yoshida-san the need to drive SIE to the next phase in our rapidly changing business environment, and realize the evolution of the PlayStation platform and further enriching the user experiences made possible through the network, which is an essential value that people expect in the entertainment PlayStation provides. " Sony appointed Kodera to SIE president and CEO in October 2017, when former PlayStation boss Andrew House announced he was leaving the company. Kodera joined Sony in 1992 and worked in the company's portable audio business. In 2010 he became senior vice president within the newly established Sony Network Entertainment International, then in 2013 was promoted to its president. SNEI merged in 2016 with Sony Computer Entertainment to create Sony Interactive Entertainment, with Kodera second in command. Ryan has been with Sony since 1994, and has served in executive roles overseeing the PlayStation business in Europe. He's been one of PlayStation's more outspoken executives, and has been integral in Sony achieving a dominant position in Europe and other territories. "I've seen the PlayStation business grow and change massively since the very early days," Ryan said. a statement, "and I hope to be able to put that experience to good use in reinforcing the foundations of the Game & Network Service business, and in evolving the entertainment that PlayStation offers to its engaged and passionate community."